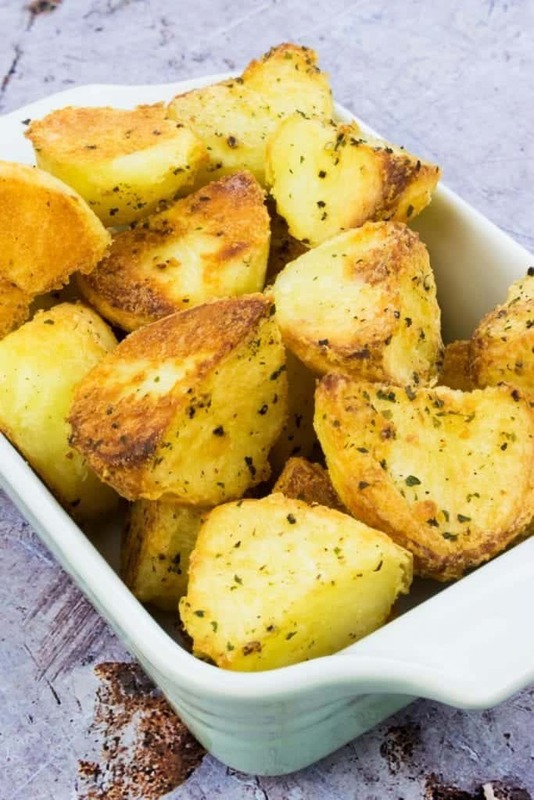 This recipe for the Best Ever Syn Free Roast Potatoes is the ultimate Slimming World roast recipe, with a perfect crispy outside and soft, fluffy centre and flavour all the way through! I’ve been making syn free roast potatoes ever since I started eating Slimming World recipes more than three years ago and over time I have finally perfected this recipe after many, many roast dinners. 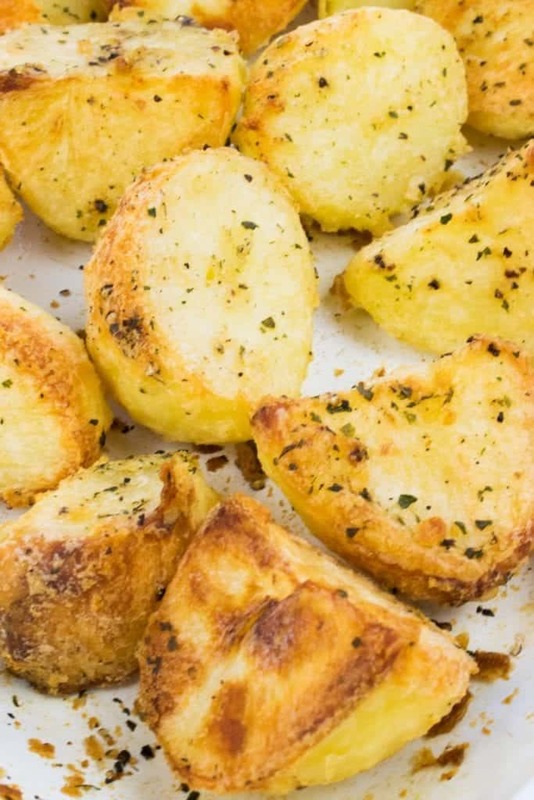 In fact, I have a reputation for making excellent roasties in my family so I wanted to finally share my recipe for these perfectly crispy Slimming World roast potatoes! 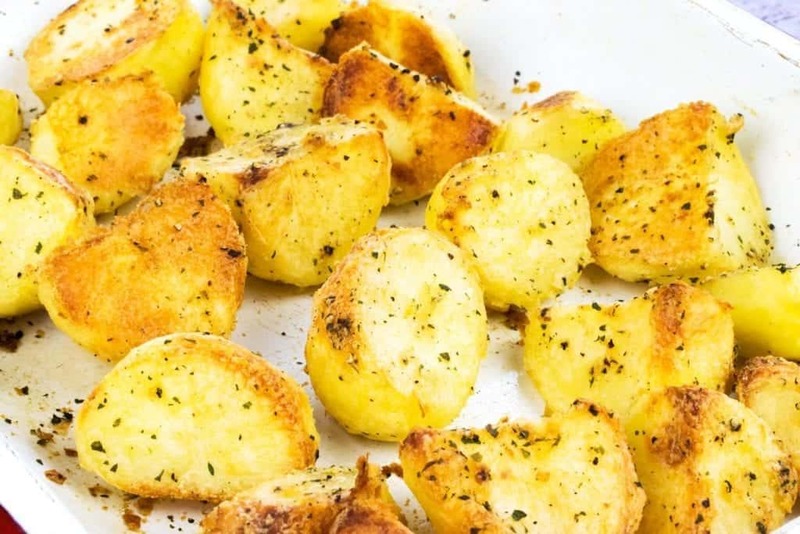 This recipe for Syn Free Roast Potatoes is perfect whether you’re following the Slimming World plan or just trying to reduce the amount of saturated fat in your diet. I’ve been making roast potatoes using low calorie cooking spray now for more than three years, and I would never go back even if I weren’t trying to be healthy! I’m not exaggerating when I say that cooking with low cal spray makes the best ever roast potatoes – Slimming World or no Slimming World! 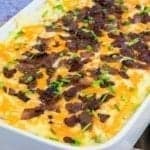 The reason for this is that it distributes the oil around the whole potato, making sure that the whole thing ends up crispy and delicious whilst keeping the inside of the potato as gorgeously fluffy as you could want. I love seeing when people make my recipes! 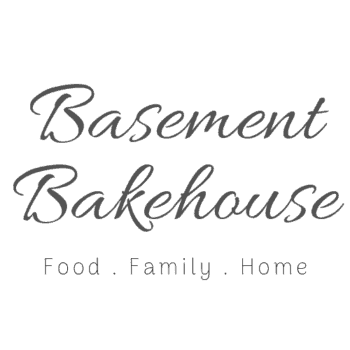 So if you do make these Syn Free Roast Potatoes you can email it to me or share it on Facebook and Instagram tagging @basementbakehouse on Facebook or @basementbakehouse_sw on Instagram! I’d also love it if you shared your baking in my Facebook group too, you can join here if you haven’t already. Ok, so roast potatoes are pretty epic all on their own, and if you’re enjoying them with a classic roast dinner then they’re perfect how they are. But I’ve never been one to do things by halves though, so I wanted to share one way that you can make them even better! In my opinion, anything can be improved beyond perfection by the addition of cheese and bacon and if you’re anything like me then you’ll agree. 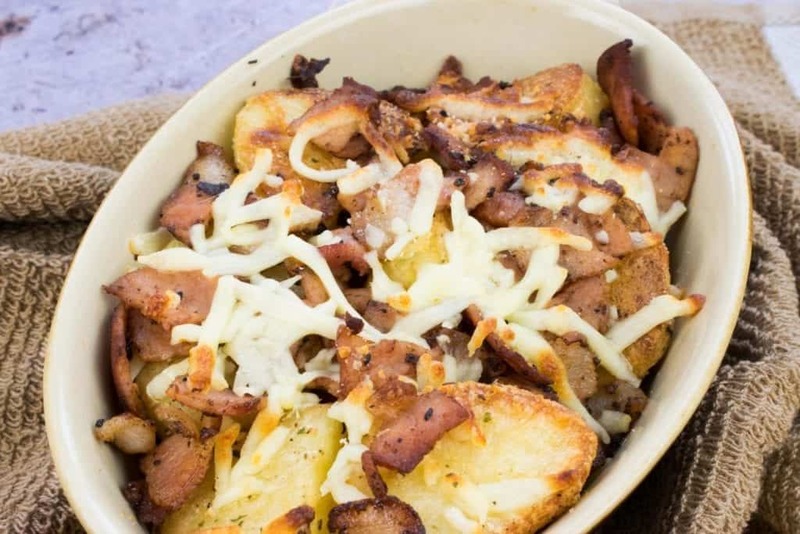 Once you’ve made your syn free roast potatoes, you simply need to fry up some bacon (fat removed to keep it syn free) and then layer the potatoes in a small personal baking dish with your Healthy Extra portion of cheese and the crispy bacon! Bake for a further 10 minutes or until the cheese is melted and has started to crisp up on top. Love This? 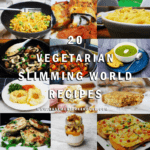 You’ll Love These Slimming World Side Dishes Too! I hope you find this recipe for syn free roast potatoes just as delicious as I do, whether you’re making them for a hearty roast dinner or you’re pairing them with something totally different. 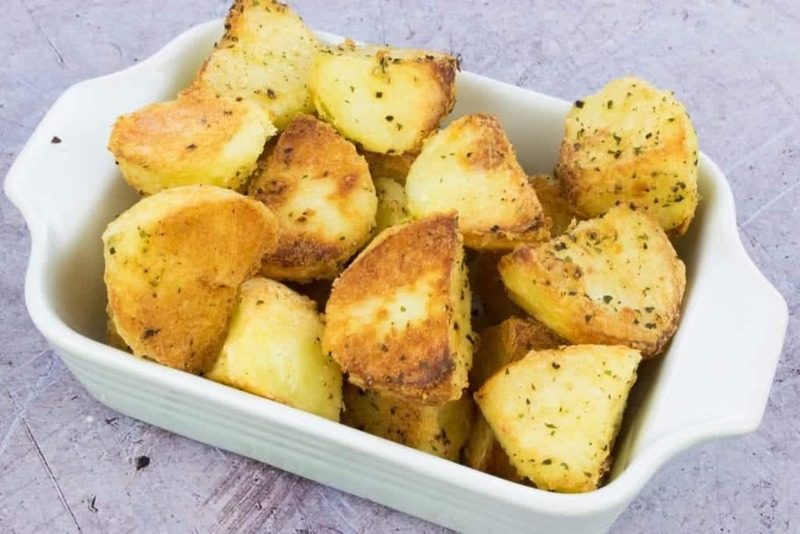 This recipe makes enough roast potatoes for four servings as a side dish, so if you’re cooking for more people you’ll simply need to add extra potatoes and seasoning to bulk it up! The ultimate recipe for Slimming World syn free roast potatoes - crispy on the outside and perfectly fluffy on the inside! Peel your roast potatoes and cut any smaller ones into halves and any large ones into quarters. In a medium saucepan cover the potatoes with hot water and bring them to the boil over a high heat. Add the chicken oxo cube and dissolve it in the water, reduce the heat and boil the potatoes for 8 minutes. Drain the potatoes and put them back in the saucepan. Spray the potatoes with five or six sprays of low calorie cooking spray and add the parsley, salt and pepper. Place the lid on the saucepan and shake it to distribute the seasoning. Spray a medium sized baking tray with low calorie cooking spray and tip the potatoes onto the tray. Spray the potatoes with more cooking spray, ensuring that they are all covered. 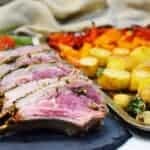 Roast in the oven for 20 minutes and spray with more low calorie cooking spray. Roast for a further 10 minutes or until the potatoes are crispy all over and no longer stick to the bottom of the tray. 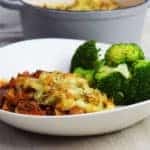 Syn free on Slimming World. Always check the syns of your cooking spray before use to ensure it is indeed syn free. Please do not screenshot this recipe - share links instead as syn values may change in the future. I am not affiliated with Slimming World in any way and am not a trained Slimming World consultant. 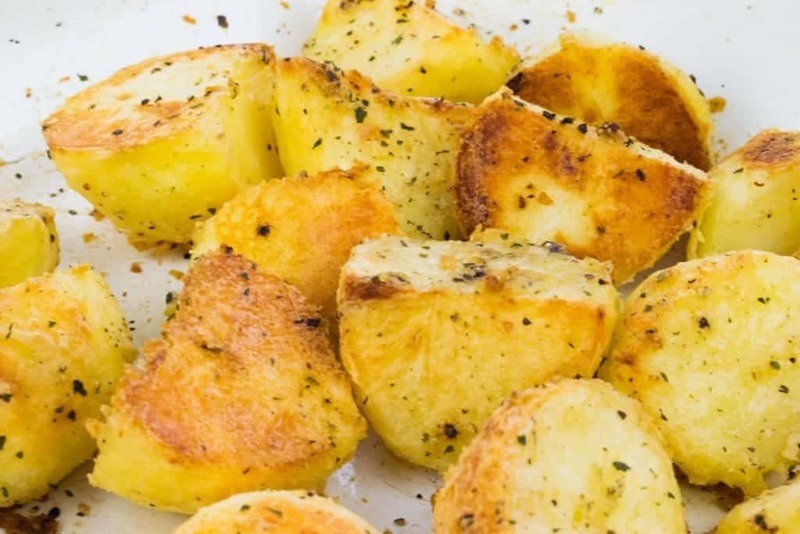 DON’T FORGET TO PIN THIS RECIPE FOR SYN FREE ROAST POTATOES TO MAKE LATER! 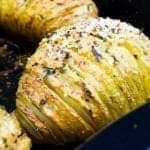 What a great way to prepare potatoes! 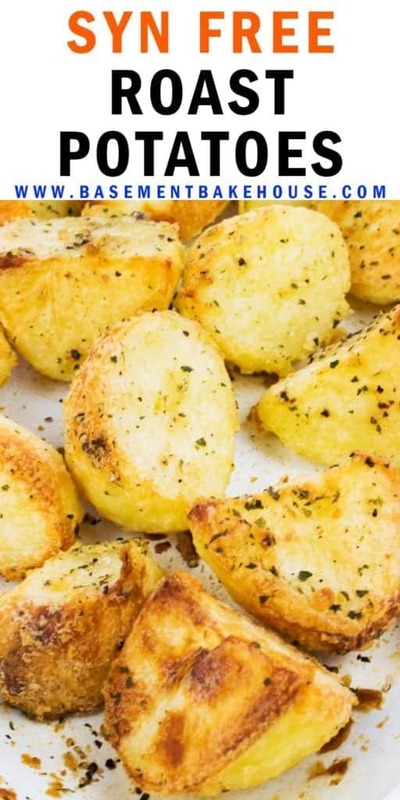 These look like some deliciously crispy roast potatoes. This is how we do ours too, with fry light. I don't suppose there is anything better than a crispy roasted potato! I love that you par boil them fist, sometimes, if you don't they get too browned! Can't wait to try your method! Such a great idea to add stock to the cooking water for extra flavour! These potatoes look absolutely delicious. Love how crispy they come out. Such a great addition to any meal. I do love a good roasted potato. These sound delicious! These look so crispy, so delicious! We make roasted potatoes all the time but I have never thought to make them with a low calorie spray. Makes perfect sense and a healthier option at that. Thanks for sharing! 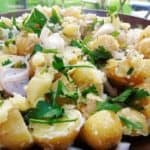 A world without roast potatoes would be tragic, so it's wonderful to see a syn free version and they look amazing. Lovely and crispy, a perfect addition to any meal.